BALL SPEED DISPLAY features dual Redline ball sensors that accurately measures ball speed and displays it in miles per hour (mph) or kilometers per hour (km/h). BALL SPEED DISPLAY combines the features of SMART TRIGGER© with a 4" high 3 digit LED display. The display can be mounted on the masking unit or curtain wall where it brightly stands out for the bowlers to see. SMART TRIGGER© is a speed sensitive machine trigger that accommodates fast bowlers by dropping the rake quickly while also able to slow down for kids and senior’s slow balls. SMART TRIGGER© also gets rid of the need for rake drop switches and extra wiring. SMART TRIGGER© prevents accidental triggering and potential injuries to unauthorized persons walking down the lane. Speed displays will give your center a great new look. It adds a great safety features and gives you an eye-catching improvement without a huge investment in new capital equipment. 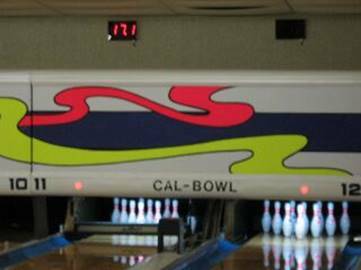 Speed Displays will help your bowlers improve their game and consistency. 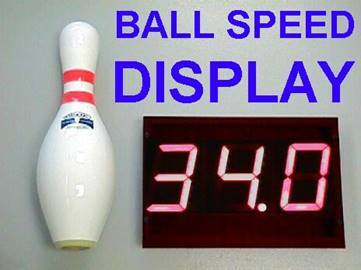 The display teaches your bowlers eye-hand coordination in a way that just is not possible on integrated scoring speed readouts. Improving bowlers are the lifeblood of healthy league growth provides your bowling center with a host of substantial benefits, all of which will result in improved cash flow. Improving bowlers will spend more on bowling accessories (balls, shoes etc). They will have more fun and invite more of their friends to share their enthusiasm. An improving bowler is a "bowling" bowler. This will build excitement and give them something new to talk about. Need to know more? 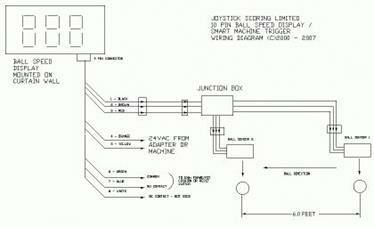 Download the complete installation manual here!